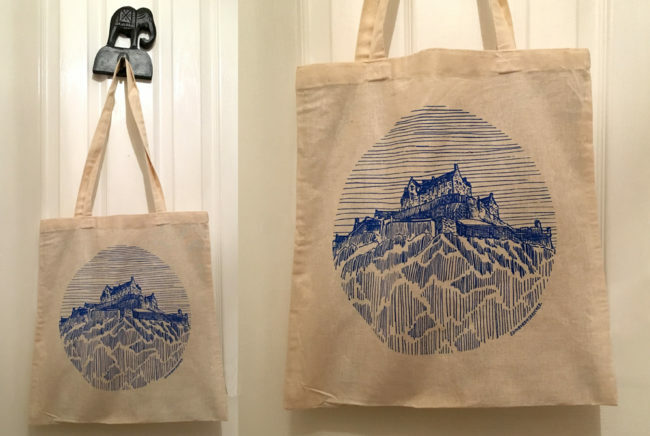 The prize for January is one of my new blue Edinburgh Castle totes. Each cotton tote measures 16×15 inches and is screen printed with one of my early drawings of the castle. If you would like to buy a blue Edinburgh Castle tote for £7.50 plus postage then you can order one HERE from my Etsy shop. That’s Broughton St Mary’s Church, from East Claremont Street. A fabulous classical vista in the best New Town tradition which deserves to be more appreciated. Sketch on!! East Claremont Street – looking towards Broughton St Mary’s church. That looks like North Leith Parish Church on Madeira Street to me. 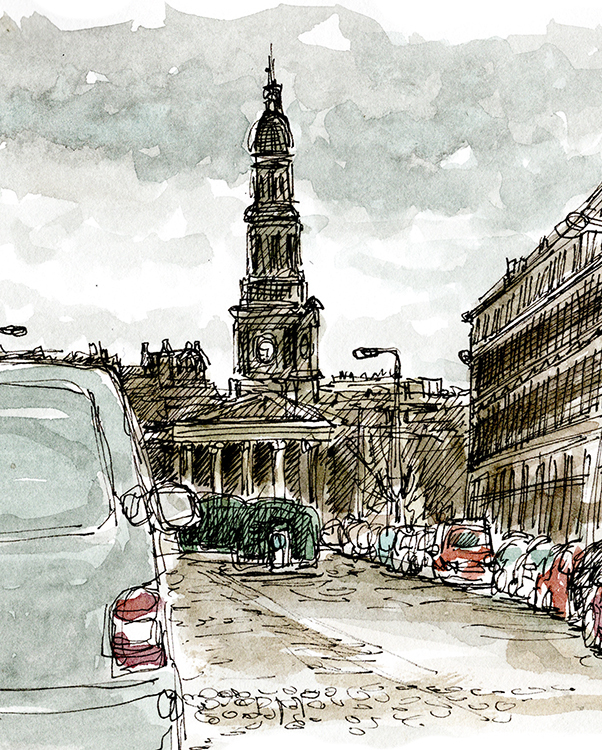 Although you would be standing in Prince Regent Street while you sketched it. The view from outside my student digs in the 1970s in East Claremont Street. Bringing back lots of good memories thank you. You’re in East Claremont Street, looking at Broughton St Marys. Been waiting for this church for a few years now!